IT HAS been a while since we last saw an update regarding the Bilski case. 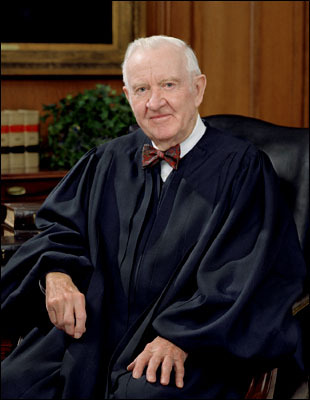 Justice Stevens is not around anymore, which is not good news because he was hostile towards software patents in the US. The USPTO meanwhile brags about a rise in ‘business’ (number of patents), probably refusing to acknowledge that it’s not an indication of success, it’s not supposed to be a ‘meat market’ for monopolies. If a university, for example, was to hand out degrees to anyone who requests that, it would devalue those degrees in the same way that patents are no longer a sign of invention. Many patents overlap other patents and disregard prior art. It is a mess. Now, Microsoft may brag that it has over 10,000 patents, but 85% of its patent applications are software patents. Assuming the present is representative of past filings, Microsoft would be left with just ~1,500 (none involving software) if or when In Re Bilski puts software patents right where they belong — the wastebasket. So, where is Bilski at right now? According to Legal Times, the sessions may resume next week. The Supreme Court handed down two relatively low-profile decisions this morning, leaving to another day some of the most-awaited cases of the term like Bilski v. Kappos, the business-methods patent-eligibility case that was argued last Nov. 9. The Court won’t be in session again until May 17. For the first two decades that computers and software were being developed one could not obtain a patent on software. That began to change with a series of court cases in the 1980′s. Among others, I do not consider those court decisions to have helped the software industry. Rather they have only served to slow down innovation. On this page I provide some of the content that has brought me to the conclusion that software patents are problematic. Before retiring this Summer, it’s very possible Stevens might play an important role in writing up the Bilski opinion. The Bilski case is like SCO… never ending. And speaking of the FFII, I think it was their Bilski brief that recommended that the machine or transformation be applied such that a patent would only be awarded if the innovation component coming from software was not considered in determining patentability. Essentially, they don’t want anything you create with software to in itself lead you to infringe.